1. 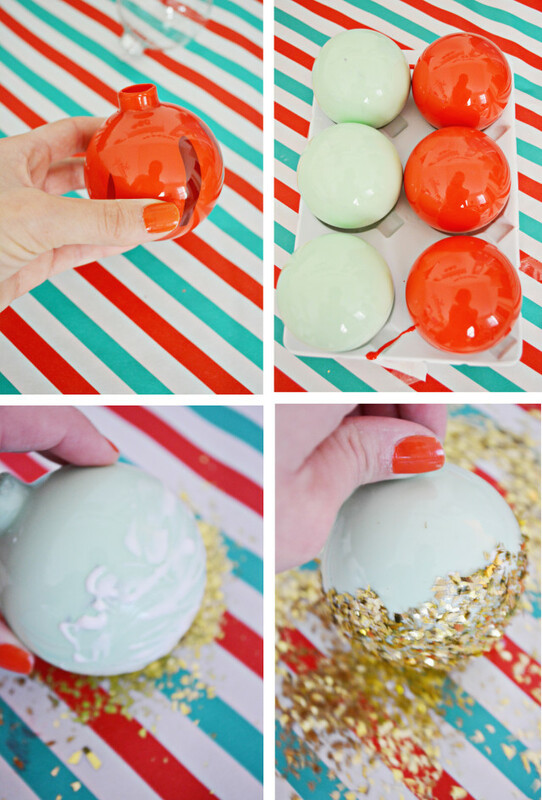 Squeeze some paint inside the glass ornament and swirl it around to spread it. I ended up doing several squirts (about 6) and adding a little bit of water to ease the swirling. 2. 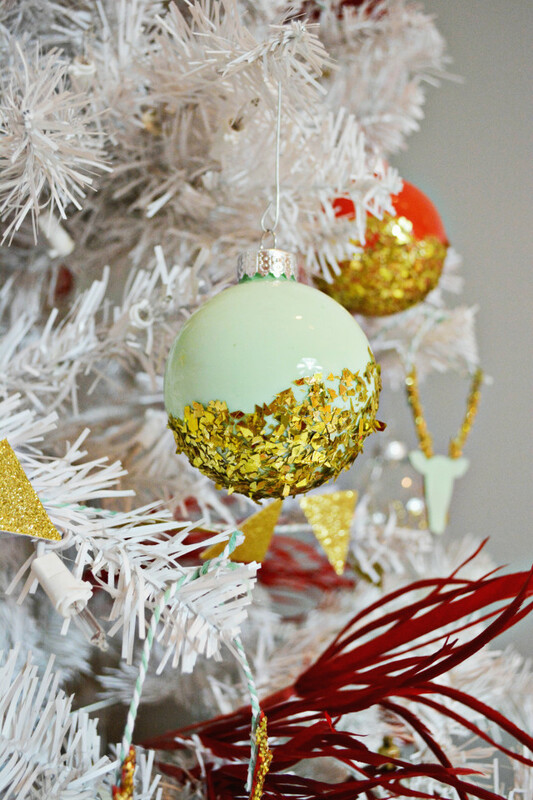 Place the ornaments upside down so that excess paint drips out. 3. 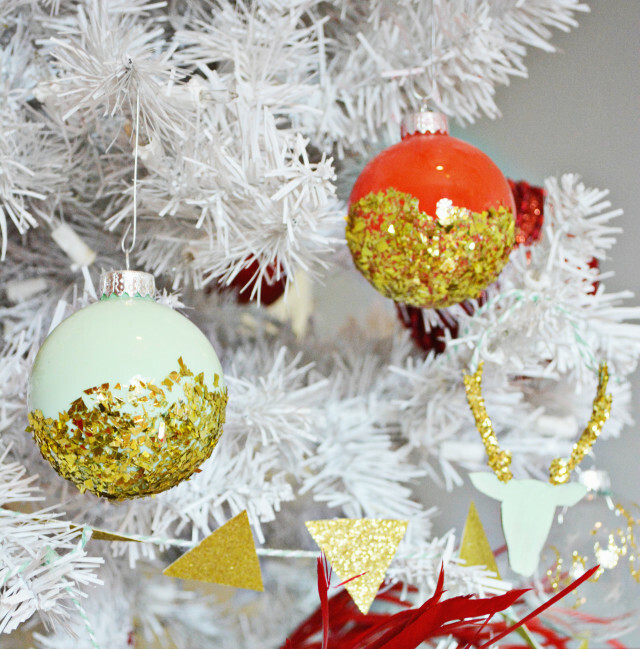 Place ornaments up in order to help the paint dry. Wait for several hours for the paint to dry. 4. 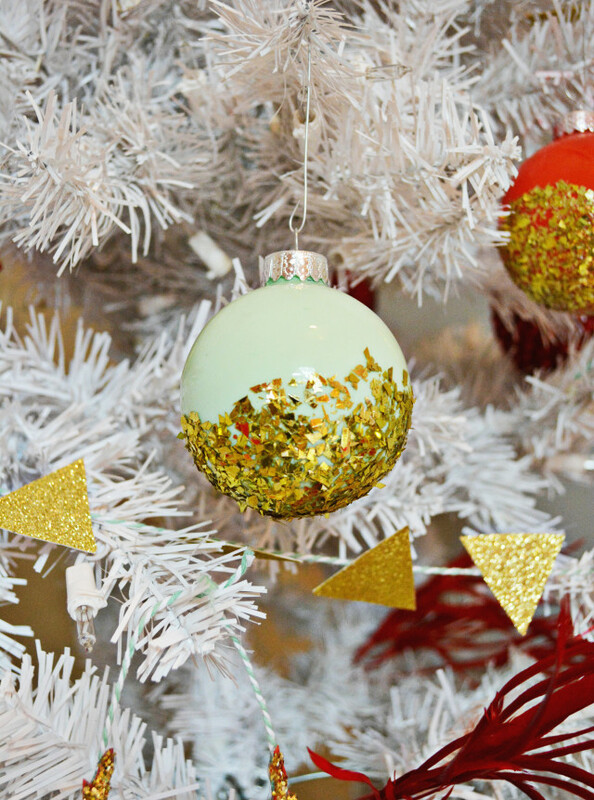 Take some mod podge and place it at the bottom of the ornament (anywhere you want the glitter to go). 5. Dip the glue into glitter.